No fewer than 4000 Nigerian doctors are practicing abroad, Principal Consultant, High Beam Global (HBG), Dr. Varun Aggarwal and lead partner of Fortis Hospital, Dr. Sonal Pahwa, stated at an event in Lagos. The medical experts urged the Federal Government to fix health facilities to checkmate the movement of Nigerian medical practitioners to foreign countries to practice. At the event organised by Fortis and HBG in Lagos with the theme: ‘Adding Friendship to Healthcare,’ the medical experts said that the country had lost huge foreign earnings because of the problems confronting Nigerian health infrastructure. According to them, lack of effective and efficient health sector in the country has led to brain drain of medical doctors of Nigerian origin to other countries, especially developed ones. He added that the country should produce and develop more doctors and provide conducive environment for them to practice, saying if attention was given to reviving health infrastructure, the country could become a medical tourist centre soon. In his address, Dr. Aggarwal said that infrastructural development in the sector was cardinal to attracting more home grown medical experts. According to him, such development will save the country of huge amount of money being expended to seek medical care in foreign countries. 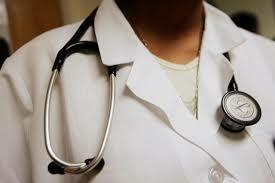 Our correspondent reports that the experts has urged Nigerians to cultivate the habit of Regular medical check-ups.